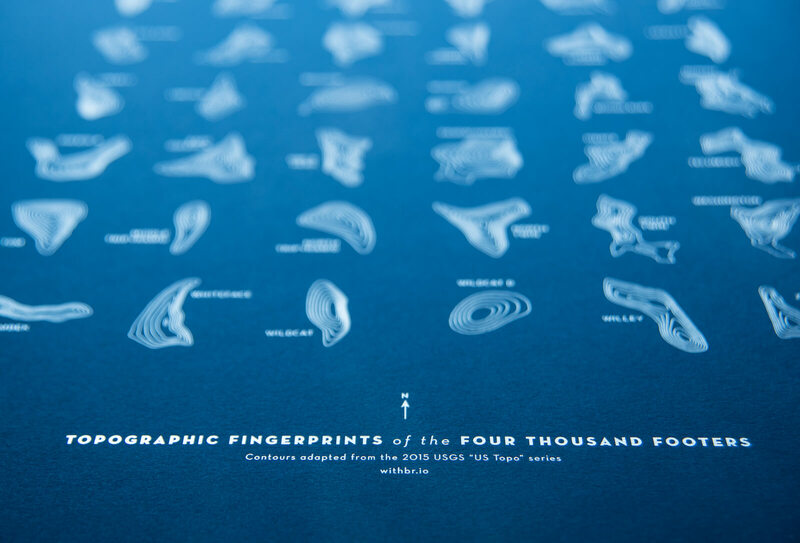 Reminiscent of vintage scientific identification posters, this print challenges you to become familiar with the topographic "fingerprints" of all of New Hampshire's 4000-Footers. 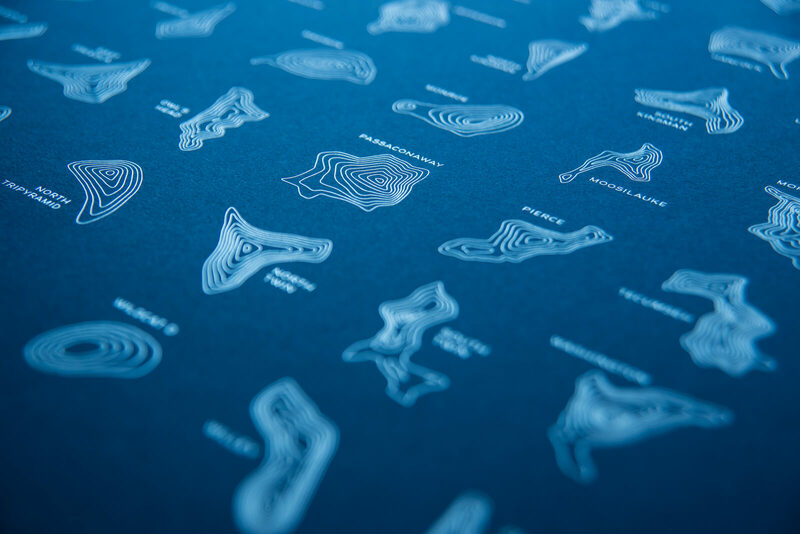 Adapted from the USGS "US Topo" series contour lines, the fingerprints are foil stamped in silver matte on 100# Neenah Classic Crest "patriot blue" paper. 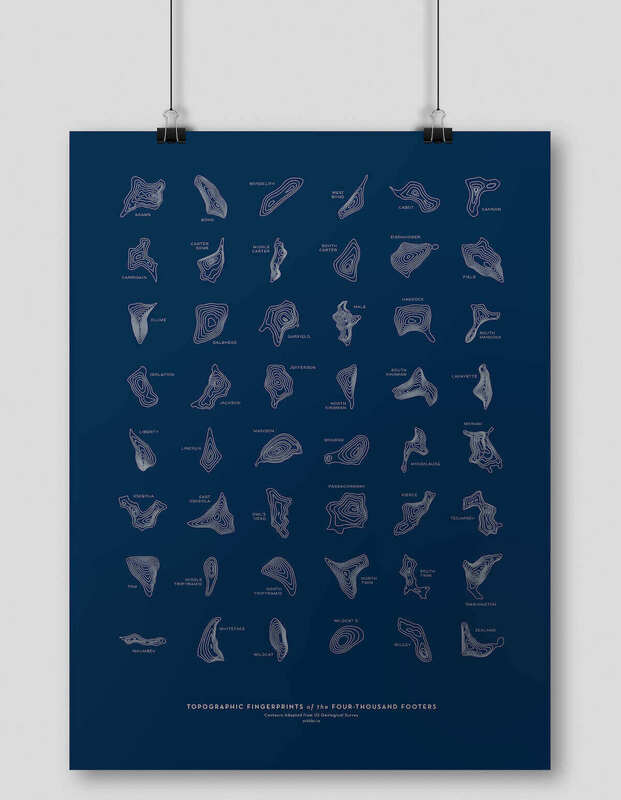 Since summits vary greatly in size, creative license was invoked in fitting each peak into a grid. 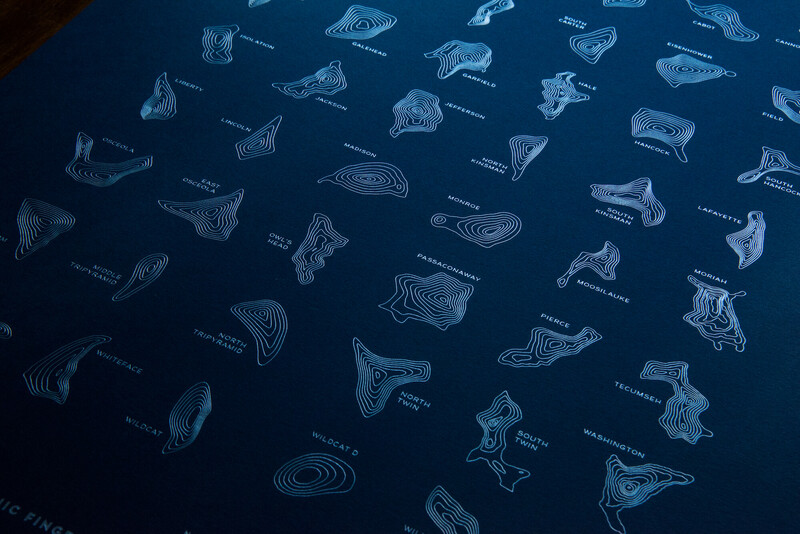 Indeed, many summit shapes were reduced in size, with contour lines pruned in as systematic a way as possible. In two cases (Lincoln and Wildcat B), contours were added to give a better sense of those two summits' shapes.